2017 looks a lot like 2016 if I'm being honest. Although, shout out to The Rural Alberta Advantage & Grizzly Bear. Their albums were pretty dope this year! So where does that leave us? As Joe Budden has said, repeatedly on his podcast and Everyday Struggle, it's been a great year for Hip Hop so expect to see a lot of that going forward! I should also point out that I have heard the Eminem album in its entirety. You can infer what you will from its absence from this list. Somehow I became a fan of Metro Boomin beats this year. And that's how we get to me being the only one who liked this album. I'm fine with that. Again, it's an album that doesn't last long enough to outstay its welcome. 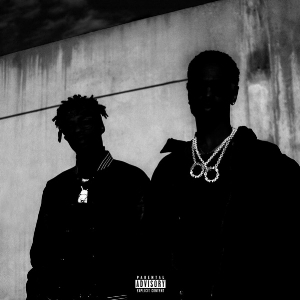 It should also be mentioned that, as much as I dig Big Sean (flow wise) I've never felt he's held an entire project down. He does here. Another solo album from the half of OutKast I placed higher on my list of 10 greatest Southern rappers! I may be biased, but I just like the way Big Boi flows and think he has a great sound overall. This album also benefited from more than a couple assists from Killer Mike! "(No One Knows Me) Like the Piano"
I don't remember where I heard Sampha first, I just know his voice puts me at ease. So hearing him on More Life was great, but getting a full album was beyond dope! The song I picked for this album is like peak Sampha. It is the exact sound I want him to chase every album, but I'm happy there were other surprises all through this album. I wasn't expecting to ever be on the look out for a Jidenna album, but then Luke Cage happened, and I couldn't get his song out of my head. Turns out, there was more heat where that came from on this album! The songs on this album have only grown on me as time has gone by. I look forward to hearing more from the chief! I guess I'm just in the bag for A$AP Ferg, the hip-hop Captain Boomerang. He continued the energy from his last album, which is to say, he has a great ear for which beats will compliment his style. Not something that is as pervasive in Hip Hop as you'd think. Excluding that awful Future song, this album is exactly what I wanted out of these two greats in 2017. Not feeling out of step and providing bars galore! 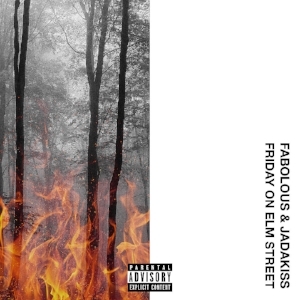 I can't front, the way they were able to keep using the Freddy and Jason motif throughout was pretty cool. I do agree with Mr. Budden though, they needed to find a way for this to come out around Halloween. It's gotta be a good album if I'm praising the YG song. It isn't just the use of 112's "Only You!" YG legitimately kills his guest verse and Ty$ does exactly what I've grown to like about him throughout the who album. I can't say this enough, the fusion of New Jack Swing with contemporary R&B feels like it was made just for me. 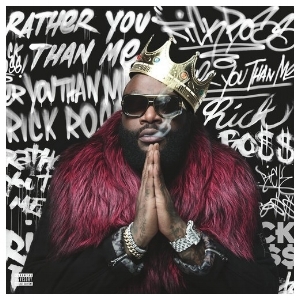 Rick Ross has a great ear. There is no denying that. I just think that I would have enjoyed this album more if someone else got the great Bink beats sprinkled throughout this album. Regardless, there is a good mix of classic Hip Hop and music to get ignorant to on this album and I had a great time with it. Sorry if it's not as high as you'd like it to be on this list! 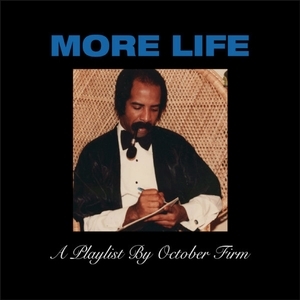 Yeah I know, Drake wanted this to be considered a playlist... It's a dope album, though! It also started off the year and let people know that 2 Chainz was about to kill all of his guest verses! I must admit that I'm perplexed by the lack of staying power this album had even if it did introduce "Blem" into the lexicon for like 2 weeks. I didn't see this coming. Me digging a Calvin Harris project. He hit the right bop on this one though. The guest list is also great and there seems to be a strong influence from Pharrell throughout. Not a bad musical influence to have around! I don't know where this come from either, but I still find myself going back to this album. It was the right level of interesting and experimental for me. I was ready to dismiss this album off the name alone, but boy, did Thugger kill that opening song. It made sure I kept listening to see what else was in store. There was no way I was going to miss out on hearing a whole album from a woman who I think gave Chance his best song! Jamila did not disappoint. This album gave me exactly what I was looking for, if not a bit too long. This album almost didn't make the cut! I, for some reason, decided to give this album another chance, and I"m glad I did. I initially couldn't get past the first couple of songs. Once I got in the right zone, I still wasn't the biggest fan of the first couple of songs, but I dug the rest of the album. I don't know if this is a Hot Take or not, but, I'm sure if you like Frank Ocean, you'll find a way to enjoy Khalid. This album came out in the perfect year! If you ever needed a soundtrack for a BLM rally or just something to listen to when the President of the United States, who is the unofficial candidate of the KKK, implies that there is such a thing as a good Nazi, David Banner has got you covered! This is as Pro Black as you can get in hip hop with great production and rhyming to boot. 100% pure ball up your fist music! I don't know why I was sleeping on CyHi before this album. I kind of just dismissed him as not Ye, Jay, or Push on "So Appalled." Much like the album that that song comes from, No Dope on Sunday is quite the display of talent. CyHi has got bars, great beats, and a couple of different tricks in his arsenal so that it doesn't just sound like a wall of bars. Anyone who hates on the youngins representing Hip Hop these days, should definitely take a listen to this album! I just put this on one day in late November and it's been a daily staple for me. I've always liked Statik beats and the fact that he keeps the mixtape vibe alive with all sorts of collaborations I never thought I wanted to hear and some I always knew I wanted but there was something that felt better about this effort. It might just have been the fact that it took me back to a time where I was truly falling in love with Hip Hop. 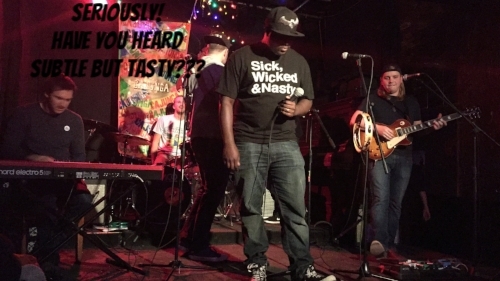 Plus it gave me a No Malice song that reminded me that there is more one Thorton brother who can tear up a beat! BRUH! What a way to start an album! I know there is still the singles section for this post, but the opening track to Rapsody's album might be my favourite song of the year. I hate to be that guy who segregates women from men when ranking MCs but Rapsody was another voice in a year filled with female MCs that helped make sure that when you think of top MCs you didn't just list men. 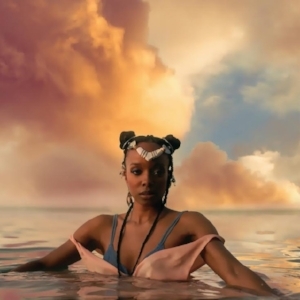 I can enjoy a Cardi B/Nicki Minaj/Remy Ma diss fest, but this spitter from North Carolina just blacked all over her album and not once did I worry about whether it was just good for a woman or if she should have a more poppy single to cross over. Laila's Wisdom is just great Hip Hop period. This album is great because it proves that even when Kendrick dumbs it down a little, it's still top tier music. Reining in his his experimental tendencies from TPAB, DAMN. feels way more speed. I think a lot of people wanted another "Control" verse from K.Dot, but what we got was still a great album with some great visuals as well! 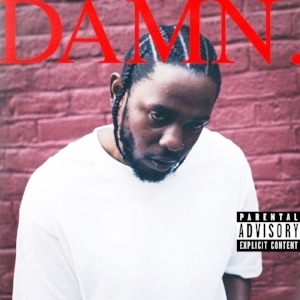 And there is that cyclical feel to the album which gives it that extra level of enjoyment that Kendrick always likes to provide with his offerings. To be honest, I never thought much about SZA, so imagine my surprise when I heard this masterpiece. I defy anyone to hate on this album! I usually just listen to singers and assume they're talking about a new love, love lost, or something that involves love and hope there are good beats. With this album you get some love songs, but the point of view is one I rarely hear and it actually pulled me in. It wasn't even fair this year! Out of nowhere people were talking about another JAY-Z album coming. I was scared I'd get another Magna Carter album. 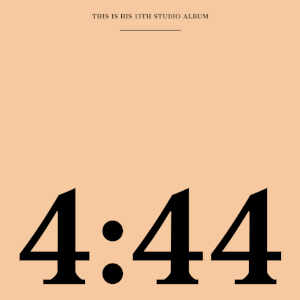 I don't hate that album in the grand scheme of Hov albums, but I didn't need him getting another luke warm reception in this climate. I'm finally ready to say this is probably one of the top 5 Jigga albums. JAY-Z has always to set trend in his music, but this time around, his message of community and legacies felt like perfect timing. Much like Jim Jones before her, I appreciated Cardi B, the character, more than Cardi B's music. But this song just wears you down. Or, like my father, you are immediately nodding your head the first time you hear it. They even had 11 from Stranger Things biting the flow on Jimmy Fallon. If some how you haven't heard this song till now, try not rapping along by the end of the song! I had high hopes for the Arcade Fire album this year. Unfortuntely, it didn't quite connect with me till I saw them live. BUT! This track was dope from the rip. The percussion and strings in the beginning mixed with the bassline that follows is my JAM! Rihanna spit a couple of bars on Kendrick's album, but this was next levels! I know this is a N.E.R.D song, but, We can all agree this is RiRi's joint. The way she goes old school and talks down to us crumbs somehow makes me think she's way cooler than before. I really liked "Big Fish" (ft. Juicy J), especially since it showed up in the dope season finale to Issa Rae's Insecure. BUT THIS WAS IN THE BLACK PANTHER TRAILER, DAWG! I can't help but place this in the top 10 singles of the year. I wish I liked the whole album better, but these two songs are still great! I really liked Major Key from DJ Khaled, but there was something about Grateful that felt underwhelming. Luckily he this heater to get my expectations up for the album. I'm not a huge Beyoncé but she caught the right bop on this track plus I love the JAY-Z verse at the end. I don't know why I like this song and video so much, I just do! Did you see where they made it rain on the dead presidents and Ben? It's safe to say 2 Chainz definitely plays a big part in my enjoyment but I can't front on the Migo's ability to craft a catchy hook over those ominous horns and 808s. I'm not sure why I didn't key into 2 Chainz's album. He was amazing on every other album he appeared on this year. But his album felt kind of like homework to me. It didn't even have this superior version of Good Drank on it. I'm pretty sure he performs with The Trap Choir because they definitely elevate this already great song so why not include them on the album? Anyway great song. Who would have thought that Jeezy would be able to get Cole and King Kendrick on a track together and that it would sound great? You gotta respect Jeezy's vision and ambition. Jeezy sounds great on this song, but this is the Cole show featuring Kendrick getting funky with it. I wish I could say the rest of Jeezy's album slaps like this song. I hope there is an album in the works because this is a classic 50 type track and if he's in this mood for a whole album, he's going to have another classic album on his hands. I mean, there's not much to say, this feels like the Hip Hop I grew up with in a climate filled with people I'm sure are talented but aren't making music that I can connect to. So I'll cling to these types of tracks for as long as I can. This song is amazing, if not, a bit misleading. I don't think Vic kept this energy through his whole album. But this was quite the album opener. The song is amazing without Ty$ but he gets added on for the closing bars, and this song becomes something truly special!